Hello, everyone! Good Monday morning to you! I can't believe that it is the last day of April. There are only two and a half weeks of school left before summer break and that means I will be having a little more free time to scrap! I will miss spending every day with Miss Ada, but I will enjoy spending more time in my scrap room! Tomorrow starts a very fun, very busy month for us at Sketch N Scrap. Not only will we be celebrating National Scrapbooking Day this Saturday, but we will also be celebrating Sketch N Scrap's 6th Birthday all month long! The fun starts tomorrow with our first layout sketch of the month, then Saturday is going to be a very busy day. Not only will we reveal our first card sketch of the month, but we will also have a new layout sketch posted on the blog to celebrate National Scrapbooking Day. AND - our first challenge at our Birthday Bash Crop on Facebook will also be posted! Then, to keep our birthday celebration going, we will reveal a brand new layout sketch every Saturday for the remainder of the month, so all total, there will be four exclusive sketches in addition to our regular layout and card sketches on the blog - not to mention the challenges at our Birthday Bash Crop! Lots to keep you very busy in May! 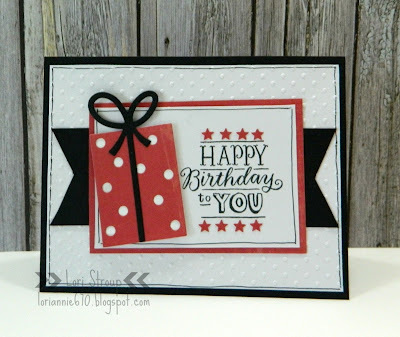 We would love to see you playing along with both our exclusive sketches on the blog and at our Birthday Bash Crop. Head on over to our crop event here to join the fun. I hope to see you there! Happy Saturday! It is looking like it is going to be a beautiful weekend and after a crazy week, I am more than ready for it! Hiding In My Craft Room has a new challenge up today and since it is the 4th Saturday that means our challenge is - Any Holiday! 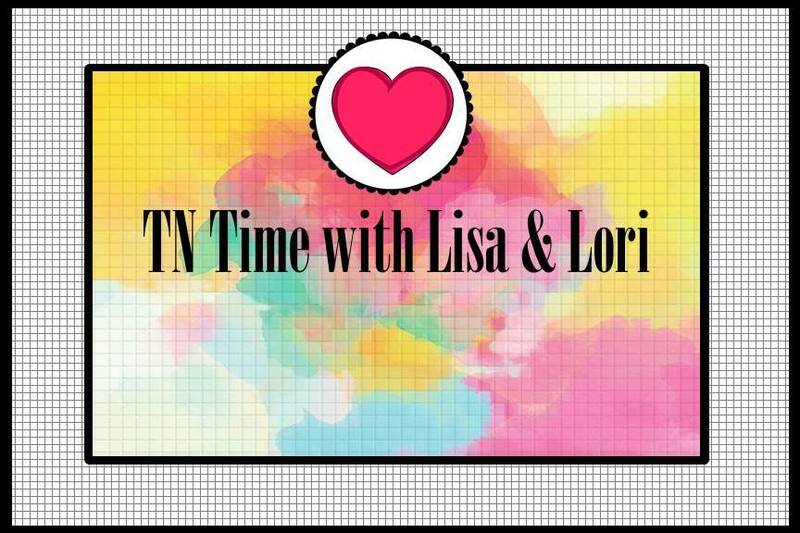 Our sponsor this month is My Besties and the giveaway is your choice of 3 Besties images. I got to work with the Besties Pixie image this week. I colored the image with colored pencils and pulled out this purple paper from Basic Grey that I have been hoarding for ages. 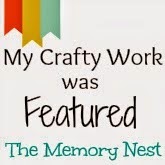 Head on over to Hiding In My Craft Room to see the projects from the rest of the design team. We hope you find some time to play along with us. Hello and Happy Monday! I hope that you had a good weekend. We had a nice lazy weekend at home - my favorite kind! It's time for a new challenge at Use Your Stuff and this week Gail is challenging us to use vellum on our projects. 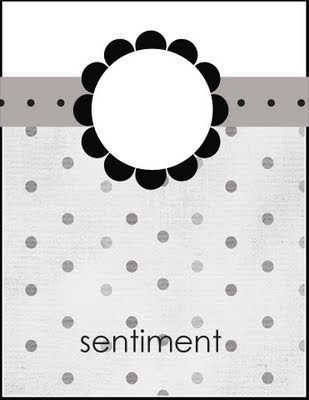 For my card, I kept it pretty plain and simple and went with a black and white color combo. I embossed a piece of vellum with my swiss dot embossing folder. I like the look of the embossed vellum and I need to remember to do it more often on my projects. Head on over to Use Your Stuff to see how the rest of the design team used vellum on their projects. We would love to see your take on the challenge! Hello, everyone! I hope that you are having a good weekend. I am running a bit behind today. I blame it on the weather as today is a rainy day and it felt good to sleep in a little. That also means a good excuse to stay in and scrap some more! Lasting Memories has posted the last challenge for April today. I had hoped to play along with all of the challenges this month, but life has just been too crazy here lately. At least I got to play along with this week's challenge! 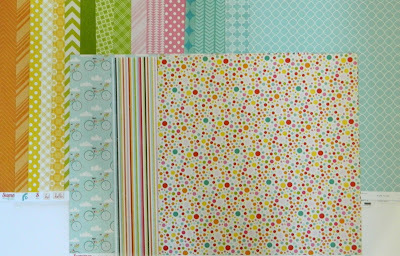 The theme all month long has been "All About Paper" and for the last challenge of the month, you are to use only 6x6 papers on your layout. The background can be 12x12 but everything else can only be 6x6 papers. Oh, my sweet goodness, Ada does turn into a Pops' girl when the weather turns warm. She is ready to go outside and do all sorts of things and Pops is the chosen one when he is off! She usually starts about Wednesday asking when Pops will be off and starts making her plans for all the things that they are going to do when Friday rolls around. On this particular Friday, we could not get home fast enough after I picked her up! When we did get there and I got her out of her car seat, she took off running down the sidewalk to Pops. The hugs and kisses and sweet talk began! I love that she likes to spend time with Pops! 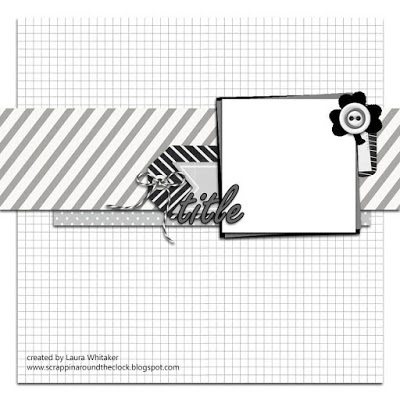 I have used Elle's Studio - Noteworthy - 6x6 papers and die cuts for this layout. I love that the majority of their collections include purple. Purple is not my favorite color to scrap with, but Ada wears a lot of it, so it's great to find a collection that has a little bit of purple in it. I bought this collection right before I went on a spending freeze and I'm actually surprised that I've already used some of it! I will get into this new spending freeze in a post later on this week as it's not a typical spending freeze. Be sure to head on over to Lasting Memories to see the layouts from the rest of the design team. We would love to see you playing along with us! Hello, everyone! Happy Saturday to you! I hope your weekend is off to a good start. 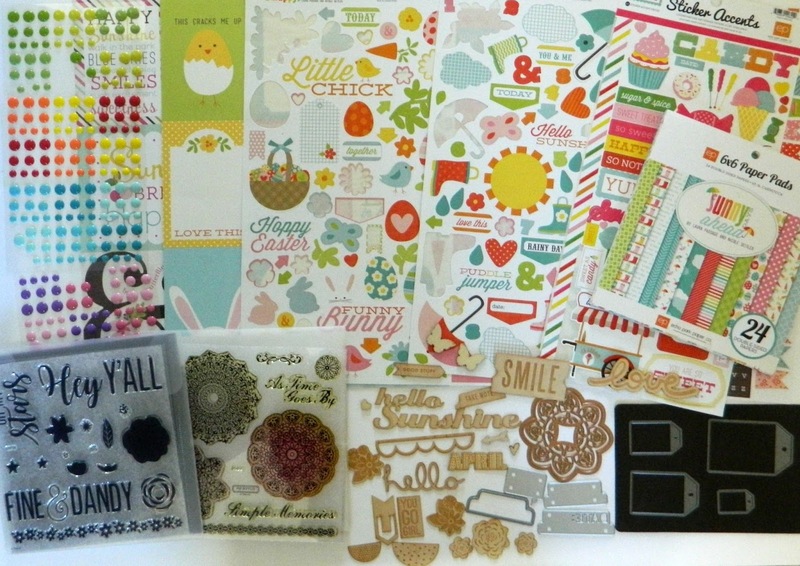 We have a new challenge starting today at Hiding In My Craft Room and this week we want your project to be "cutesy". Happy Friday, everyone! We've made it to the weekend once again! It's supposed to be rainy most of the weekend so I will be spending some extra time in my scrap room. At least that is my plan! 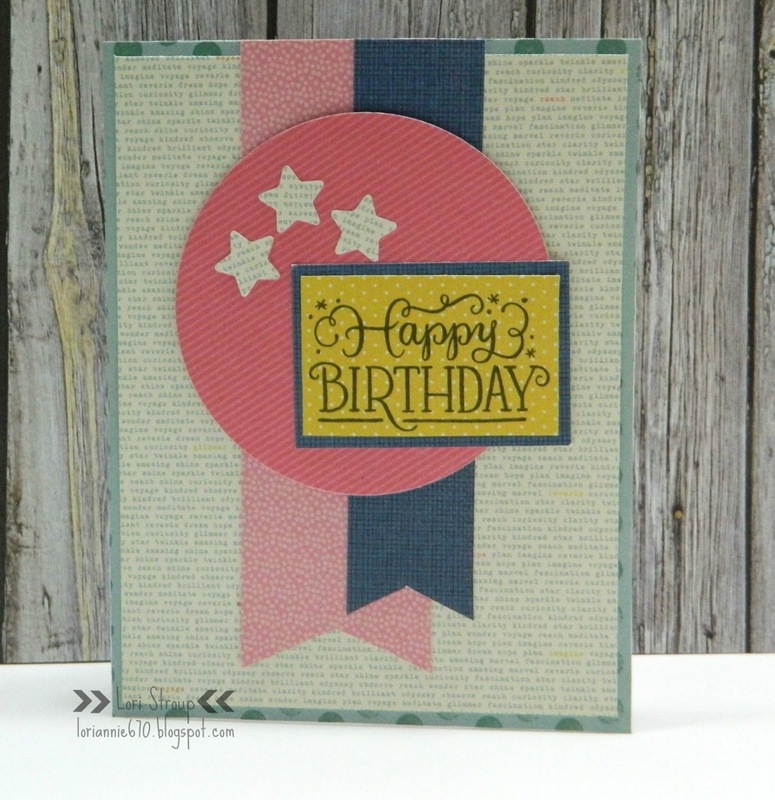 I have used the - Be You - 6x6 paper pad from Pinkfresh Studios for my card. I kept it pretty clean and simple since the one pattern paper is a little on the busy side. The sentiment stamp is from Hero Arts and I chose it mainly because it was long enough to span the space that I wanted it to. 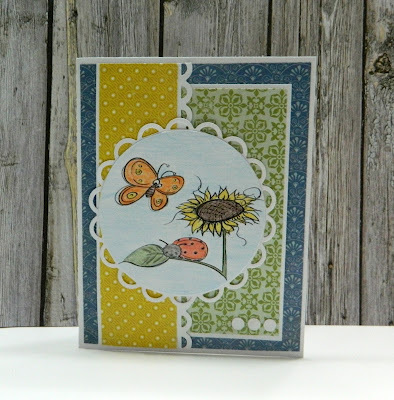 Be sure to stop by Sketch N Scrap to see the beautiful cards from the rest of the design team. 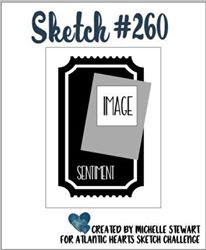 We would love to see your take on the sketch, so be sure to link up by the end of the month. Thanks so much for stopping by my blog today! Have a fantastic Friday! Hello, hello! Happy Tuesday to you! 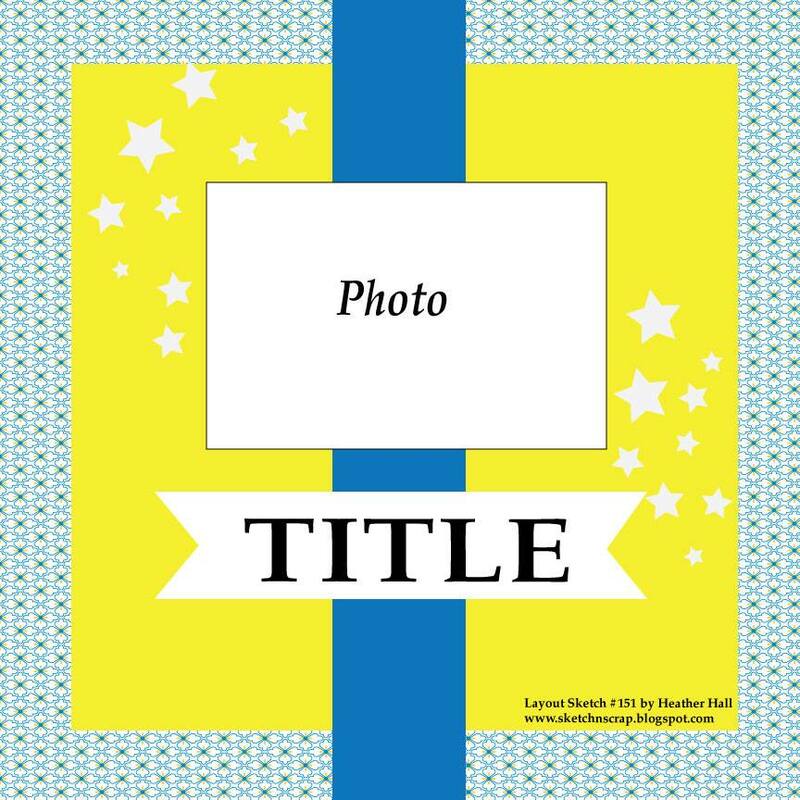 It's funny, but the whole time I was working on this layout I was trying to remember if I had already scrapped this photo...I took so many on this day because it was Ada's 6 month photo shoot...And with making a 6x8 album of her first year, maybe it was for that??? I really need to do a better job of keeping track of which photos I have scrapped - or maybe I should get better about putting completed layouts into albums so it's easy to see if I've already scrapped them. Whatever the solution, I need to get something done! I used papers from my Counterfeit Kit that I put together for this month. You can read more about it here in this post. I have done very well with my kit this month. I don't have too much of the paper left and we're just past the middle of the month! I did the smooshing technique with yellow, green, and pink inks. I was not too crazy about it once it dried, but when I added the photo and paper pieces to a plain white cardstock it looked too plain, so I went ahead and used the inked background. Head on over and check out the Sketches In Thyme blog. We have new design team inspiration every day of the week and we have a fun prize being offered this month. We would love to see you playing along! Hello, everyone! Happy Monday to you! I hope that you had a good weekend. As usual, mine seemed way too short! 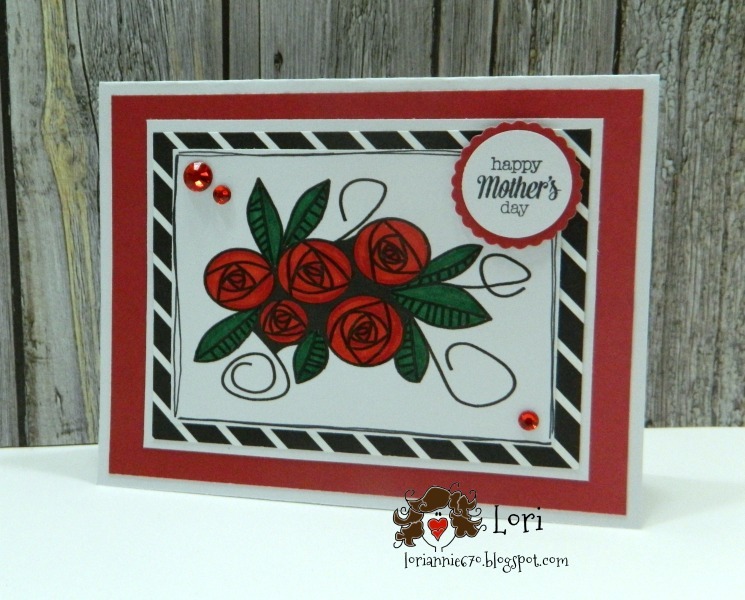 For my card, I have used Carta Bella's - Flora No. 2 - 6x6 paper pad. 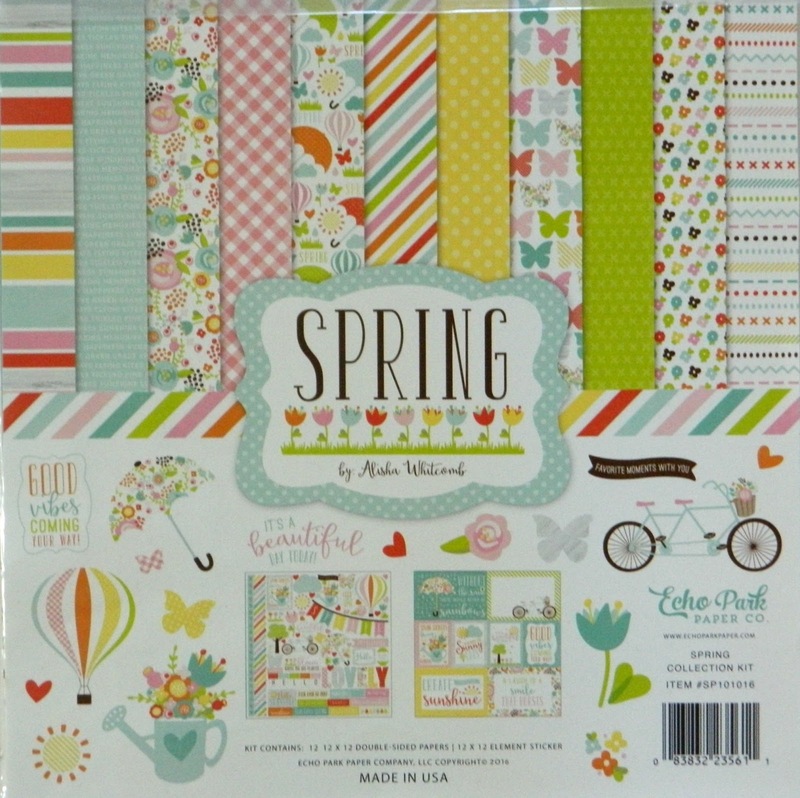 I just love all of the flower prints in this collection and it was really hard to cut into those pretty papers - I could just hoard them forever - but it makes me happy to use be using up my stash! I changed up a few things on the sketch. I used one of the cut apart sheets for my sentiment/image and added in the string and bow where the sentiment placement is on the sketch, but I definitely think you can still see the sketch in my card. 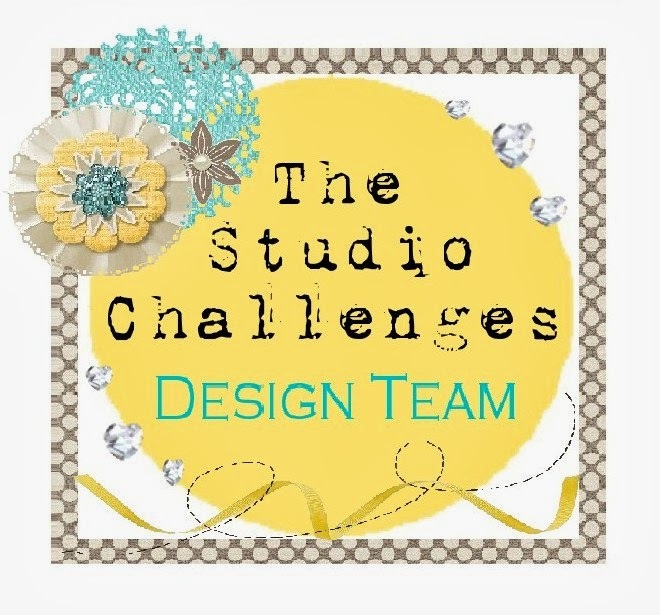 The full design team reveal and Top 3 will be on the Atlantic Hearts Sketch Challenge blog on Wednesday, so be sure to stop by and check it out. We would love to see you playing along with us this week! Thanks so much for stopping by my blog today! I have you have a wonderful day! Hello, again! If you're looking for my Sketch N Scrap reveal, scroll on down or go here. 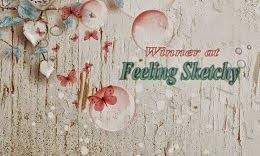 Scribble Designs Challenge Blog has a new challenge starting today and this time we are "Favoring the Feminine". Make your project girly in some nature - use florals, laces, ribbons or other items suitable for a feminine card or project. 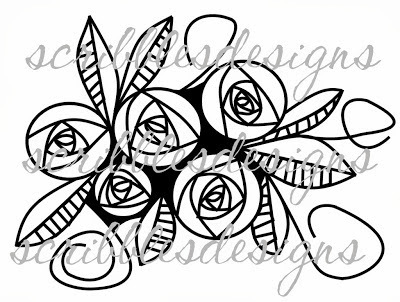 For my card, I have used #629 - Flower 9 from the Scribbles Designs store. I wanted the image to be pretty bold, so I went with red, and I am pleased with how it turned out! The sentiment is from Close To My Heart (A1189 -Short and Sweet). Head on over to Scribbles Designs to see the awesome projects from the rest of the design team. We can't wait to see what you create! Hello, everyone! Good Sunday morning to you! I hope you're having a good weekend. It's another unseasonably cool one around here. I'm hoping that the warmer weather that is forecast for next week sticks around! I can't believe how little Matthew is in this photo, and I can't believe it's taken me this long to scrap this photo! I haven't done a very good job lately at scrapping my older photos and I thought it was about time that I got back on track with that. 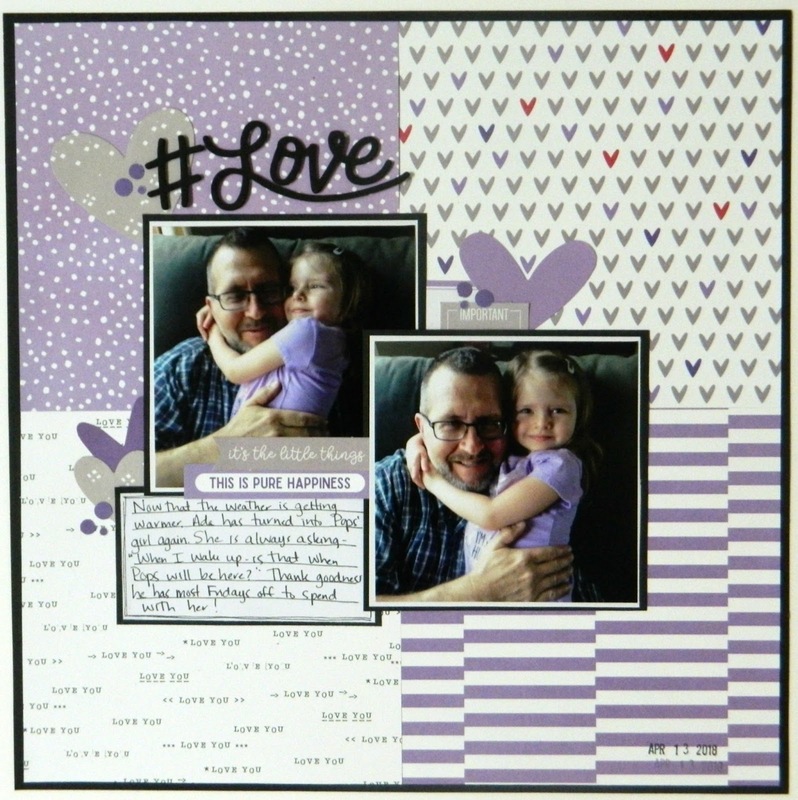 My goal is to try to make at least one layout a month using older photos if the kids. Hopefully, it will be more - we will see how it goes! 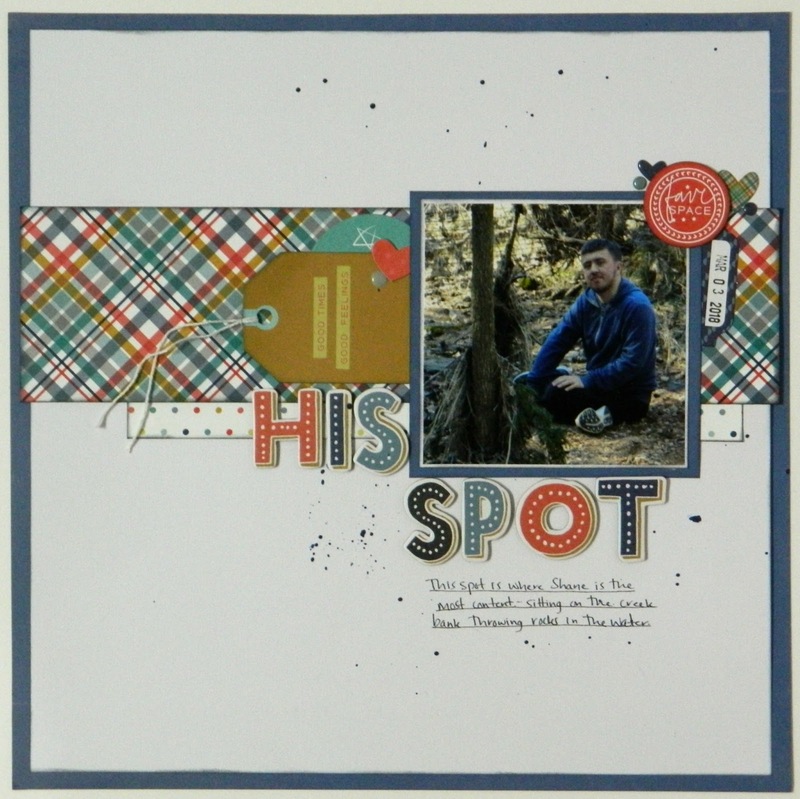 For my layout, I have used the Simple Stories - Crafty Girl - papers that came in my Doubleshot kit from The ScrapRoom this month. 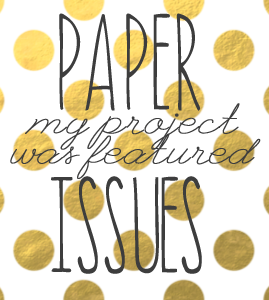 I love, love, love these papers and can see myself getting more of them soon! I just love the colors and the patterns. I had a hard time cutting into that plaid paper as I would have liked to use the other side of it, as well. 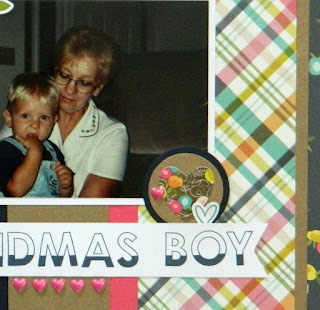 I stamped my title with alpha stamps from Close To My Heart (D1729 - Colorblock Alpha), and I realized after I had taken the photo that I forgot to go back and add the apostrophe to "Grandma's". That has been taken care of now! I have had these stamps for a long time and I can't believe that this is the first time I have used them. I know they will be showing up on more and more projects. I love them! 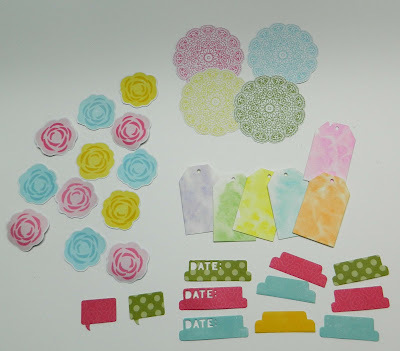 I used some of the stickers from the Crafty Girl sticker sheet. There wasn't a lot of things on the sticker sheet that went with the feel of this layout, but I used the flowers and a couple of the hearts. I also used some puffy hearts from Michaels. 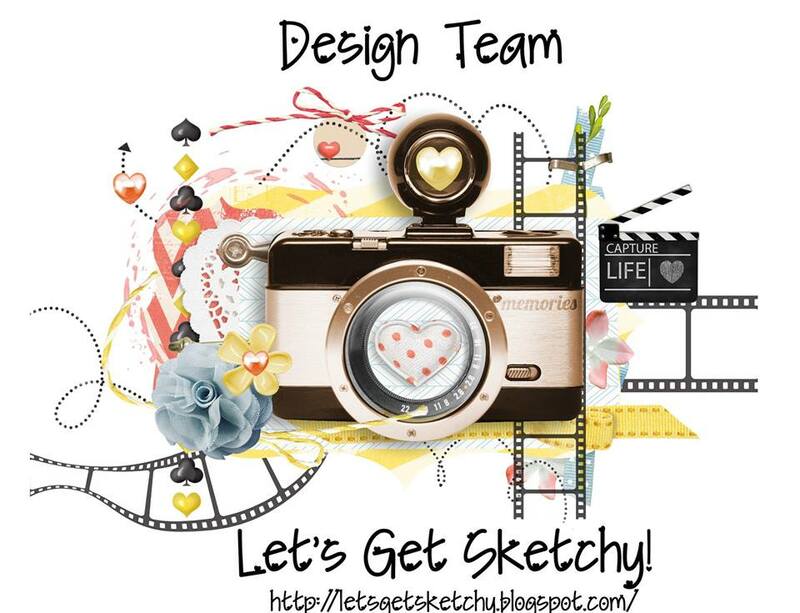 Head on over to Sketch N Scrap to see the beautiful layouts from the rest of the design team. We hope to see you playing along with us this month! Hello and Happy Saturday! Do you have anything fun planned this weekend? 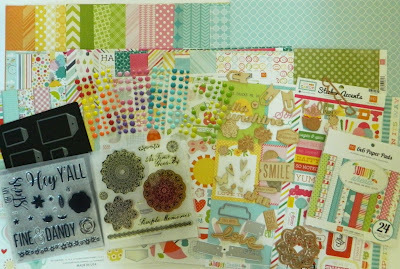 It's Super Scraps Saturday at Hiding In My Craft Room! Be sure to use those scraps on your project this week! Our sponsor this week is A Day For Daisies and the giveaway is a $12 gift certificate to their store. 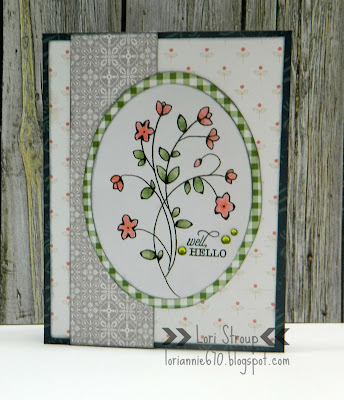 This week, I had the pleasure of working with the Spring Blossom Bunch digital stamp. I pulled scraps from the pretty Pinkfresh Studios - Be You - 6x6 paper pad. Pinkfresh Studios is quickly becoming one of my favorite companies! 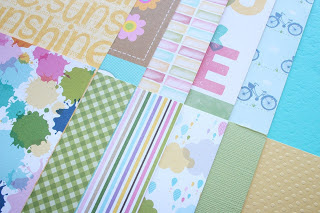 The colors in this collection are so pretty and the patterns are right up my alley! I had colored this image before I even knew what papers I was going to use and when I pulled out the scraps from this collection - they were perfect! 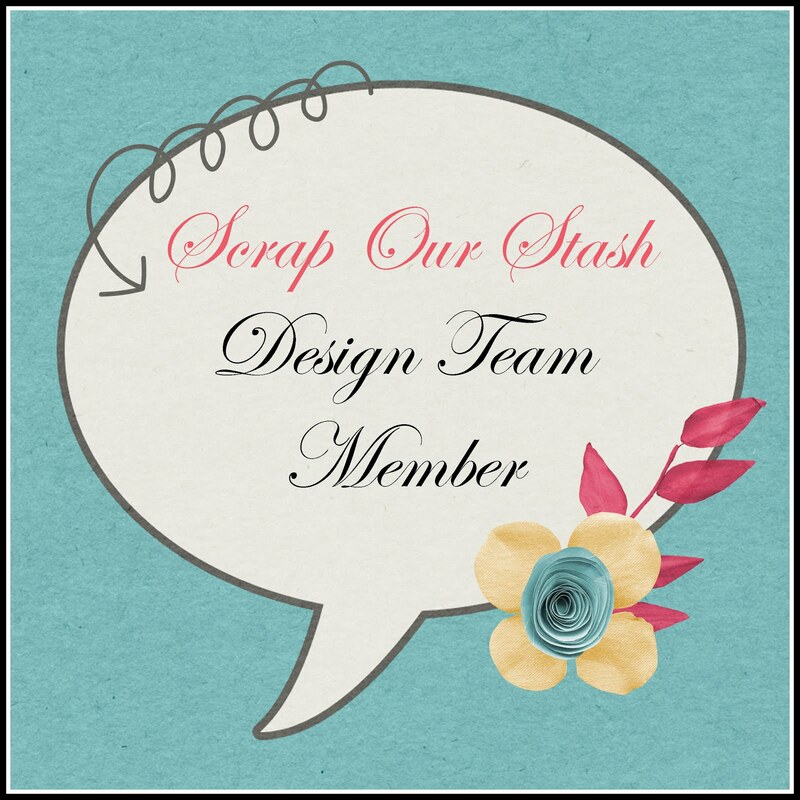 Be sure to stop by Hiding In My Craft Room to see the projects from the rest of the design team. I hope you have some time to play along with us this week! Hello, everyone! Happy Thursday to you! I hope you have all been doing well. 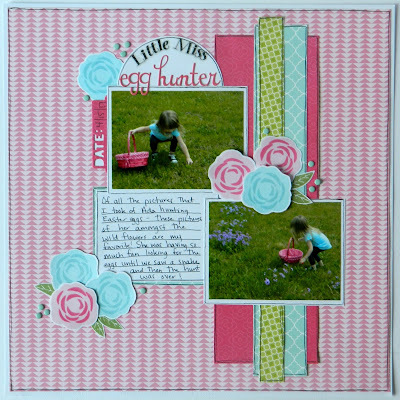 The first challenge of the month is posted over at Counterfeit Kit Challenge today, and Tina is challenging us to create an Easter themed project. This layout is of Miss Ada during our Easter egg hunt last year. We decided to "hide" the eggs in our field and she was having so much fun running around looking for them. These photos of her amongst a little patch of wildflowers are my favorite from that day, but when I stepped on a snake and screamed, the egg hunt was over! We all headed back to the house and decided to keep the egg hunts in the yard from now on! Everything I used on this layout is from my kit this month, with the exception of the alphas and the little metal dots. I am so happy to be getting this kit used up! 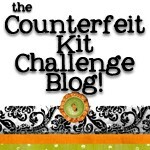 Be sure to check out the Counterfeit Kit Challenge blog to see how the projects from the other design team members. We would love to see your kits and your take on our challenges. Hello, everyone! Happy Monday to you! Are you ready for the start of a new week? The new week brings a new challenge at Use Your Stuff and this week we are challenging you to use squares on your projects. When I saw that the challenge was to use squares, I immediately thought of a grid style layout or card and decided to change things up and make a layout for my project. 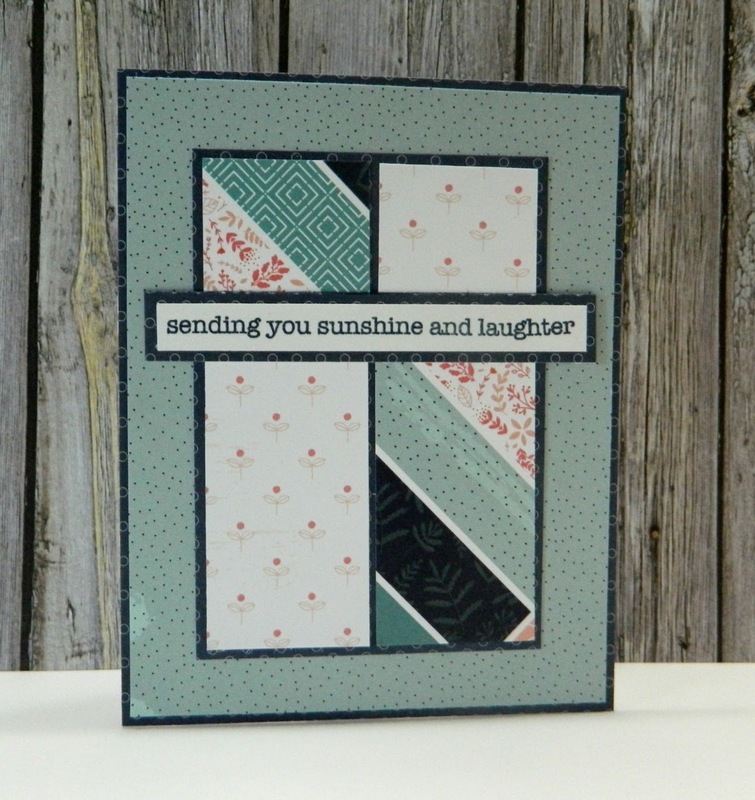 I used my Sizzix square die to make sure that all of my squares were cut just right. I also cut my photo into a 4" square and the green paper behind it is cut into a square also. 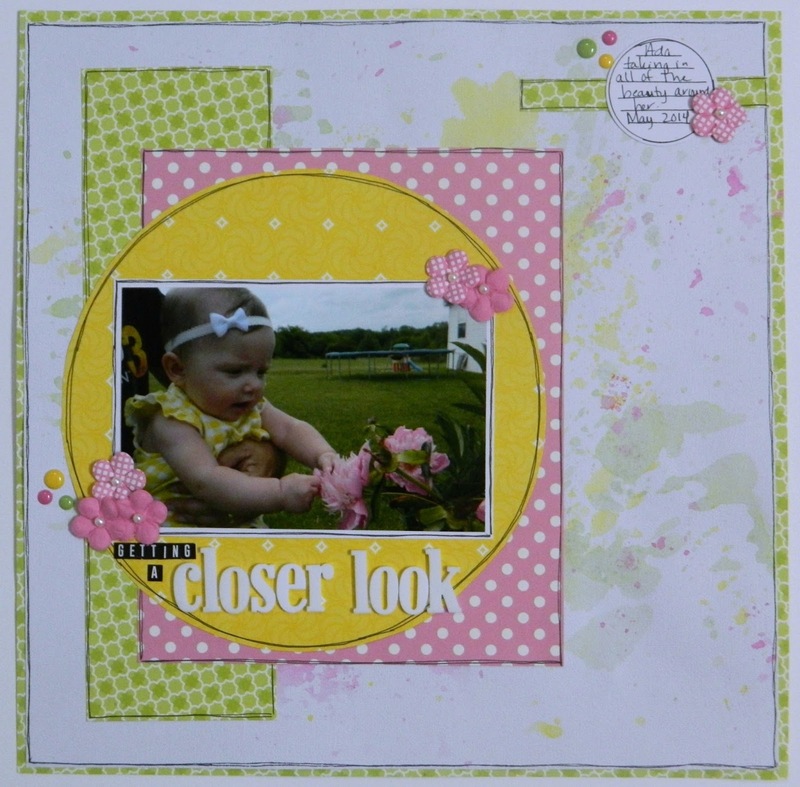 I used papers from my April Counterfeit Kit (mostly the 6x6 paper pad) for this layout. To try and soften up all of those hard edges, I added a doily behind the photo. This photo is from last weekend when colored Easter eggs. Ada was really into it this year and she did such a good job putting the eggs into the color and taking them out all by herself! I didn't do any journaling as there will be a few more egg coloring/hunting layouts to come that will cover all the stories! 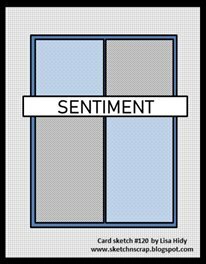 Head on over to Use Your Stuff to see how the rest of the design team used squares in their projects. We hope to see you playing along with us this week! Thanks so much for stopping by my blog today! I hope you have a great Monday! Hello, hello! I hope that your weekend is off to a good start. Today is the start of a new challenge at Hiding In My Craft Room. It's the first Saturday of the month and that means a color challenge. This week we want to see spring colors on your projects. 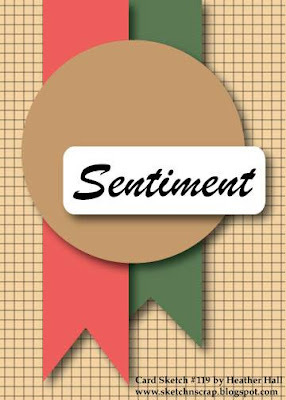 Our sponsor this week is Crafty Sentiments Designs and the giveaway is 3 digital images from their store. 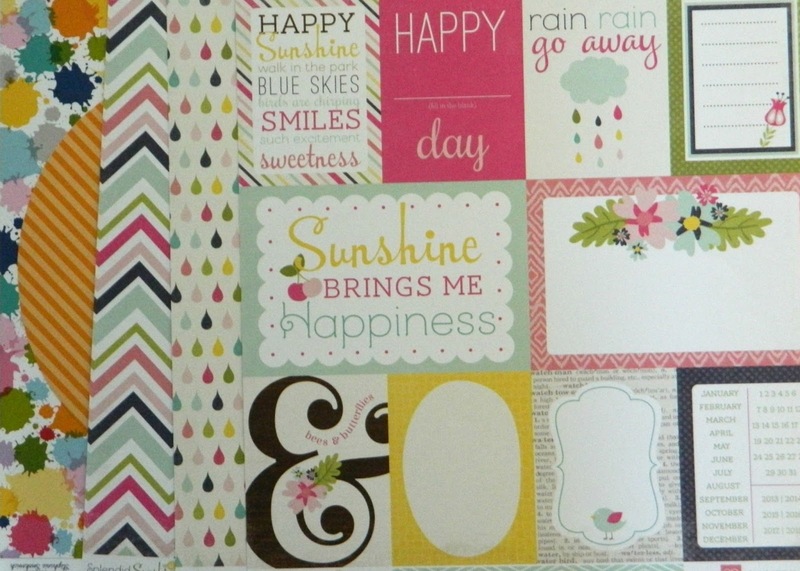 For my card, I went with a little brighter colors than the typical pastels for spring, but I think they still work. 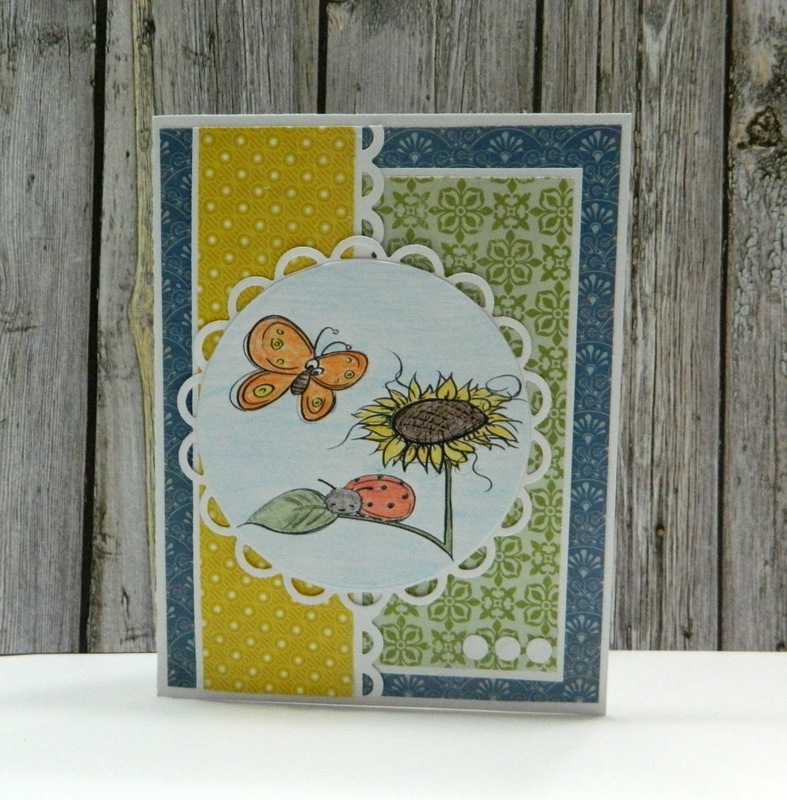 This week I had the pleasure of working with the "Lilly" image from Crafty Sentiments Designs. I think she is just so cute. I used some of the paper scraps that I had included my Counterfeit Kit this month. You can read more about my kit here. 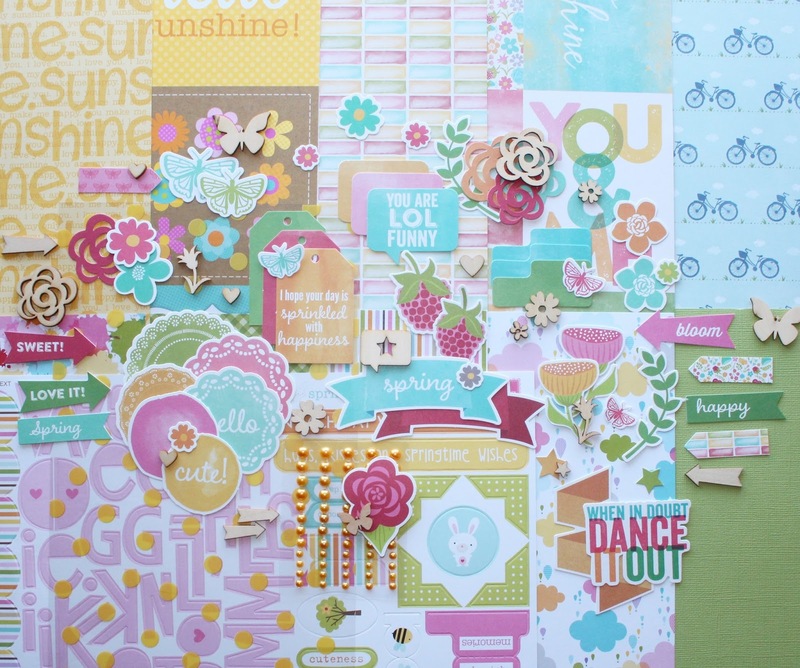 Head on over to Hiding In My Craft Room to see the projects from the rest of the design team. I hope you have some time to play along with us this week. Hello and Happy Friday! We have (almost) made it to the weekend and I am ready for a couple of lazy days at home. It's supposed to be super cold - so that will mean the perfect weather to stay in where it's warm and scrap! Although, I really wish it would warm up and feel more like spring. I created a title card for Week 15 of 2017. That was the week of Easter last year and I really thought I had all of my photos printed and ready to go for that week, but when I got to looking I did not. So, one of the things on my to-do list this weekend is to get them printed. I used papers from my Counterfeit Kit that I put together for this month and I also added a couple of the flowers that I had stamped for my forgeries, too. I can tell I am going to be making a lot more of those to use on my projects coming up. 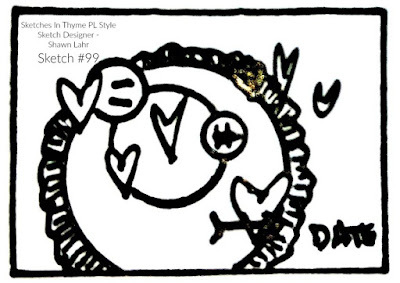 Head on over to Sketches In Thyme PL Style to see the samples from the rest of the design team. We would love to see your take on the sketch. Hello, everyone! Happy Thursday! Here we are 5 days into April and we have our best chance for a snow this weekend. Really?! We're supposed to be going outside in our shirtsleeves doing yard work by now, but instead, we're looking for snow. So crazy! I am really going to enjoy the warm weather when it does finally get here. 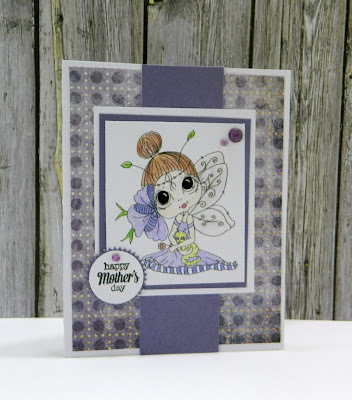 Sketch N Scrap has posted the first card sketch of the month today and Heather has created a great one. This sketch has two of my favorite things on it - banners and a circle, so I had to give it a try. I had the Shimelle - Starshine - 6x6 paper pad out on my desk and thought I would work with it. 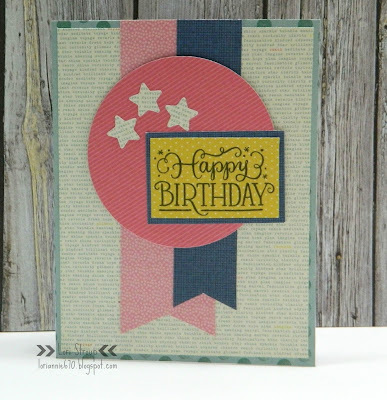 The sentiment is from Close To My Heart - (B1537) Birthday Sparkles - my new favorite birthday sentiment stamp set right now. I wasn't too sure about the yellow background for the sentiment, but after I tried other colors I kept coming back to it. 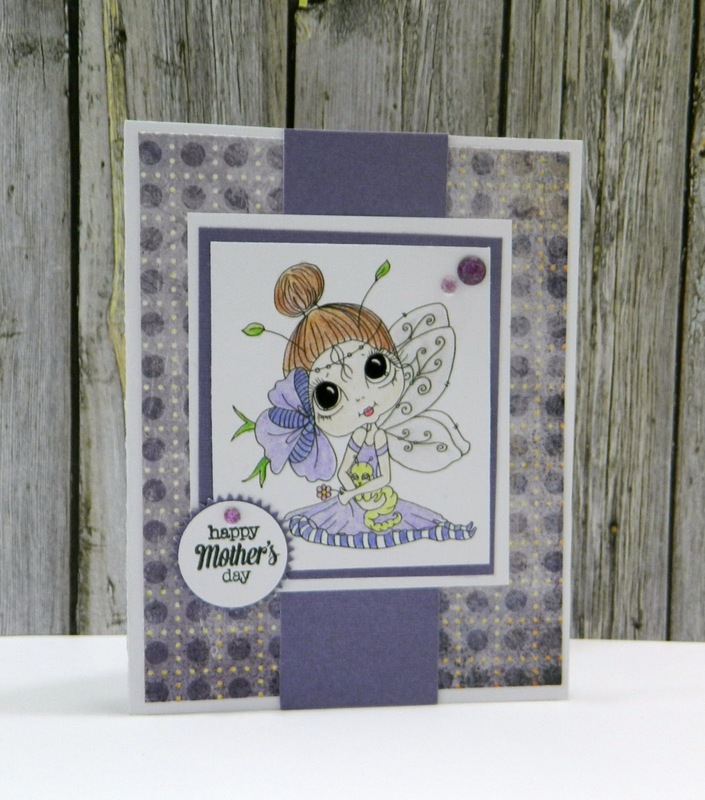 Head on over to Sketch N Scrap to see how the rest of the design team interpreted this sketch. We would love to see your take on it, too. Hello, hello! Happy Wednesday to you! We are halfway through the week and headed fast for the weekend. 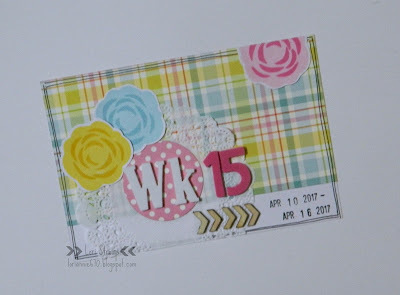 I started with a flower stamp from Close To My Heart - (D1758) and made a few different colors - pink, blue, and yellow - of this two-step flower. I had to do some fussy cutting to get them cut out, but that was really easy to do and didn't take me long at all. I also stamped some doilies and fussy cut them out as well. The tags in the inspiration kit had a watercolor look to them, so I got out my watercolors and went to work. I then die cut as many tags as I thought I might need, so they are all ready to go. The tags in the inspiration photo had some words or phrases on them, but I chose to leave mine blank for the time being. I also used some of the scraps and dies that I had added to my kit to cut out some tabs and speech bubbles. 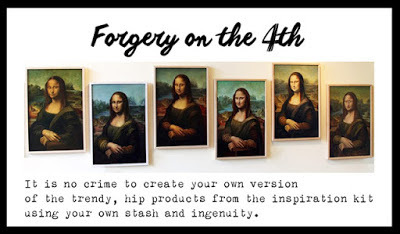 I love making some forgeries from the inspiration kit to use throughout the month. 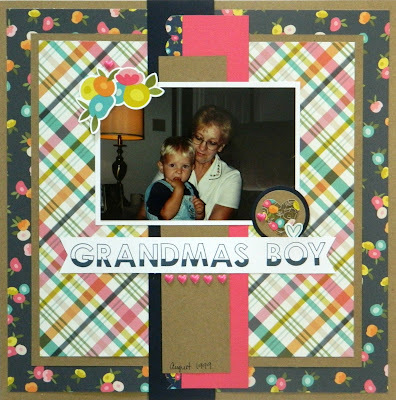 It makes it really quick and easy when it comes time to make a layout or a card. Hello, everyone! I hope your week is off to a good start. This crazy weather we are having right now needs to stop! I am so ready for warm sunshiny days but we're back to feeling more like winter than anything close to spring. I was a little stuck with what I wanted to do with this sketch. I knew I wanted to use flowers but the flowers I wanted to use were too big to fit on a square card, so I finally decided to treat it like a standard card and just go with it. I think you can still see the sketch in my card. In the photo, the pinks look like they don't really match, but in person, the pale pinks are a perfect match. I used papers from my Counterfeit Kit for this month and the flowers are from Close To My Heart - Gimme Some Sugar - Scrapbooking (D1758). The sentiment is from CAS-ual Fridays Stamps - Pretty Posies. 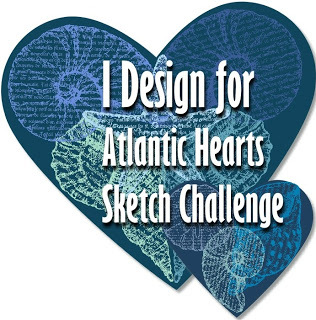 Be sure to stop by Atlantic Hearts Sketch Challenge tomorrow to see the full design reveal and last week's Top 3. Hello, everyone! Happy Monday to you! I hope that you had a good weekend. Ours was filled with coloring eggs, egg hunts, and lots of family fun! 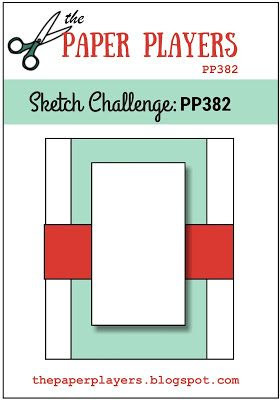 I thought I would share the layout that I created for my challenge over in the Home and Scrapped Facebook group. Once again I went with a "Pattern Play" challenge, and this month you are to use plaid on your layout. I finally broke into my Fancy Pants Designs - Family and Co - collection. I have been hanging onto this collection, wanting to make sure I have the perfect photos to use with it (I need to get over that!) and I think this photo fits the bill! Shane is already enjoying "his spot" at the creek this spring. As long as the weather is warm enough and there's a little bit of water in the creek, he is a happy boy. If he's having a rough day all we have to do it take him to the creek to throw rocks and he comes away a much happier boy! Hi, guys! This is my fifth post of the day. 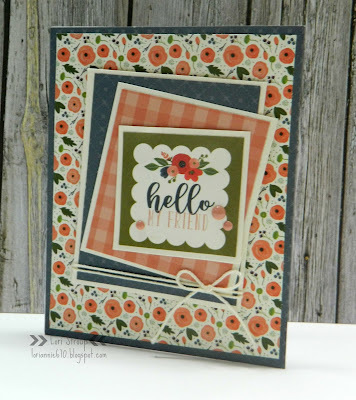 If you're looking for my Sketch N Scrap reveal, the Counterfeit Kit Challenge blog hop, my LTSCB reveal, or my LTCCB reveal, please scroll on down. 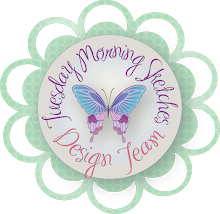 It is time for Scribbles Designs Challenge Blog's midway inspiration post. Our challenge this time around is "Bunny Hop". 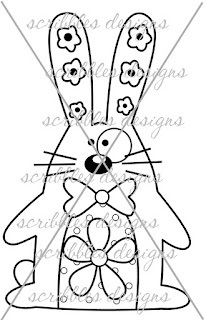 Create a project with a bunny on it - quite fitting for this Easter Sunday - although your creation does not have to have an Easter theme. Since it is Easter Sunday, I thought it only fitting to create one more Easter card for my project. 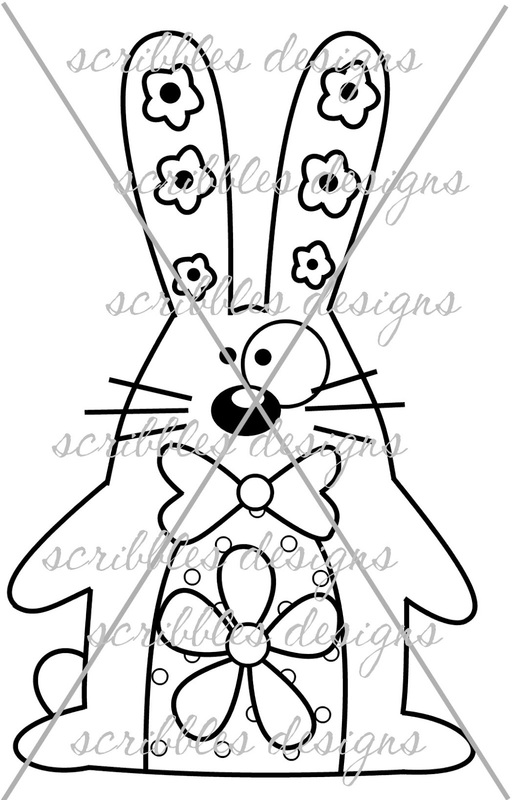 I have used #429 - Hoppy 4 from the Scribbles Designs Store. I think this little guy is super cute! I am still working on using that Echo Park - Sunny Days Ahead - 6x6 paper pad used up! I will get there one of these days! 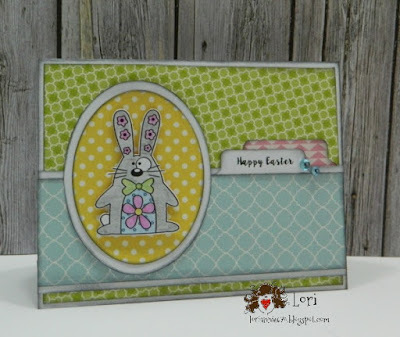 Be sure to stop by the Scribbles Designs Challenge Blog to see the bunny cards from the rest of the design team. We would love to see your creations, so be sure to link up over on the blog! I'm back with my fourth post of the day. If you are looking for my Sketch N Scrap reveal, the Counterfeit Kit Challenge blog hop or my LTSCB reveal, please scroll on down. 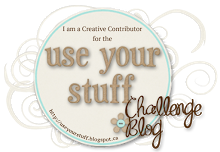 Love To Craft Challenge Blog has a new challenge starting today. As always the challenge is "Anything Goes". You can enter any type of project that you like. I have created a birthday card for my project today. You can never have too many of them in your stash. 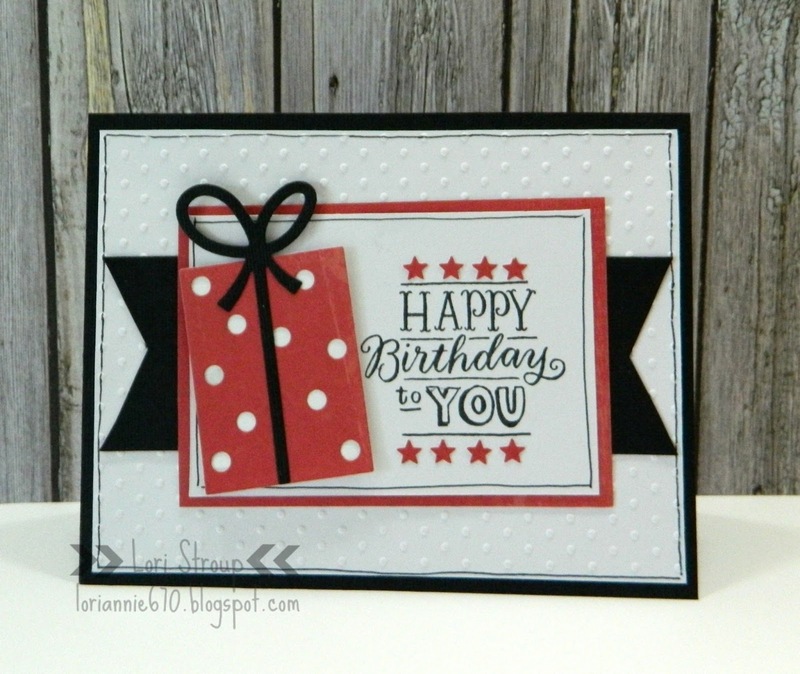 I have used the Birthday Sparkles (B1537) from Close To My Heart and the Thin Cuts - gift (Z4005) for the gift. I added a few punched stars above and below the sentiment to finish it off. Head on over to LTCCB to see the beautiful projects from the rest of the design team. We would love to see your projects this month! Thanks so much for stopping by today. I will be back soon with one more project to share with you. Hello, hello! I am back with my third post of the day. 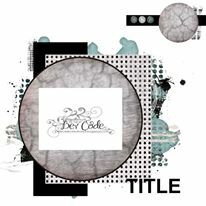 If you are looking for my Sketch N Scrap reveal or the Counterfeit Kit Challenge blog hop, just scroll on down. 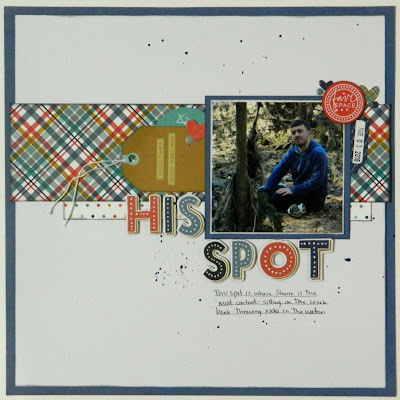 Love to Scrap Challenge Blog has the April challenge posted today. This month our challenge is - April Showers Bring May Flowers. 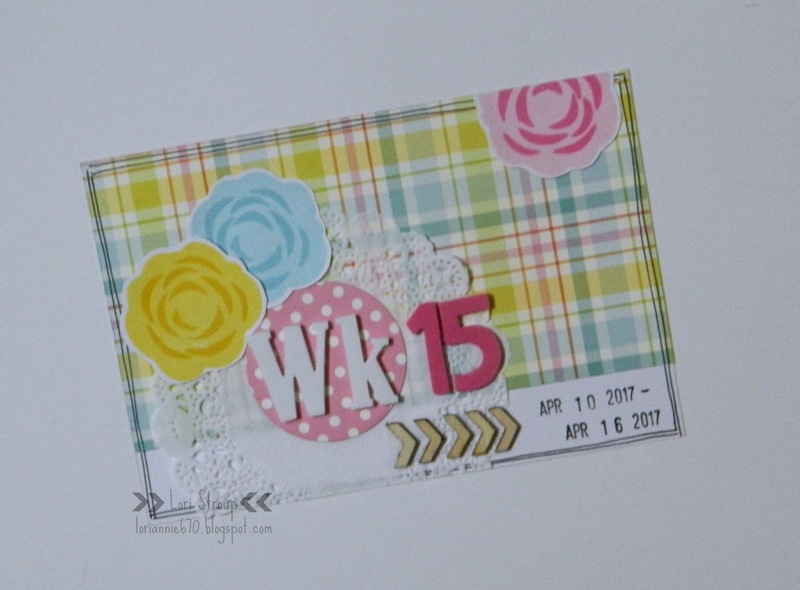 We are once again using a stamp set from CAS-ual Fridays Stamps. 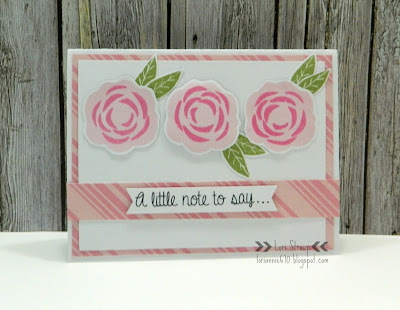 For my card, I am using the - Pretty Posies - stamp set. I stamped the small flower onto a couple of different pink patterned paper and then fussy cut them out. I popped up each of the light pink flowers with some foam tape and added a gem to the center of each of those flowers. I stamped the sentiment on a piece of green paper, but I kind of wish I would have kept it all pink...maybe I'll go back and change it...we shall see. 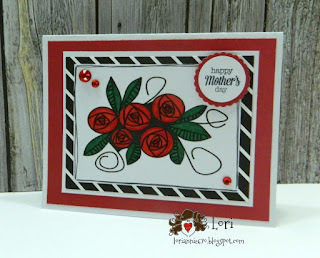 I embossed the white panel with my Swiss dot embossing folder and outlined the edges of it with my black pen. I wrapped some white string around my card front and tied it in a bow. I really like the look of the white string on top of the white panel and it looks a lot better than anything else I tried! Head on over to LTSCB to see the beautiful work from the rest of the design team. We would love to see your take on this month's challenge. Thanks so much for stopping by. I will be right back with another project to share with you! Hello again! This is my second post of the day. If you are looking for my Sketch N Scrap reveal, please scroll down or go here. 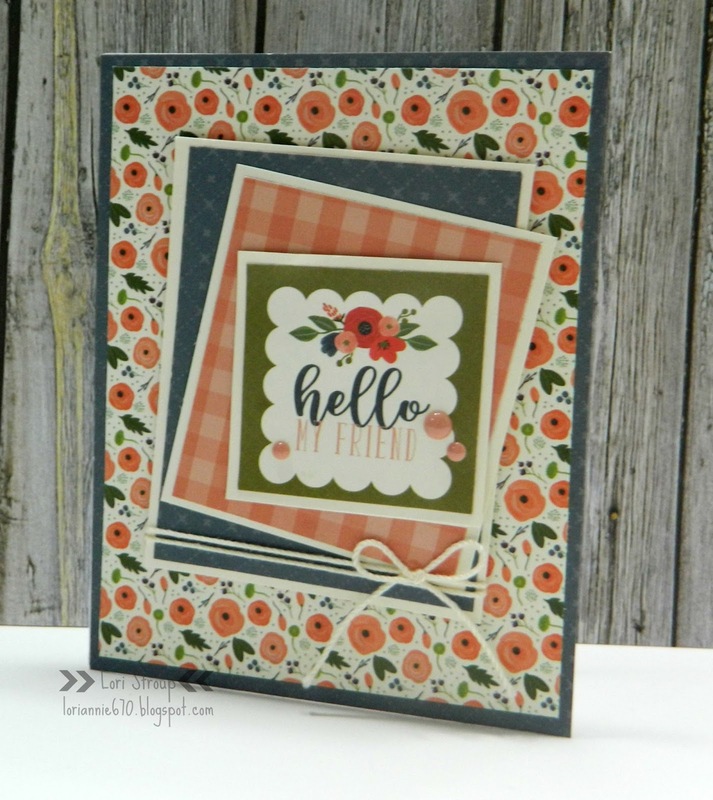 The April inspiration kit is being revealed today at Conterfeit Kit Challenge and we are having a blog hop to show how the design team counterfeited this kit. You can find more photos of this fun kit over on the Counterfeit Kit Challenge blog. I knew for my kit I would be digging into my Echo Park stash. Every single paper but one is from them. I picked the multi-colored dot paper first, then added a sheet or two of each color that is found in the dot paper. I even found an all over bicycle print paper similar to the one in the inspiration kit to throw into my kit. While I was searching for papers to add to my kit, I did find that I had the same multi colored splatter paper from Bella Blvd's - Color Chaos - collection in my stash. This could have lead me in a whole other direction and I could have added a bunch more papers, but I didn't want my kit to be that big. I did pull a few more sheets from Echo Park's - Splendid Summer - that had the dark blue in it to give me another color option. I also found a few scraps that I would like to get used up this month, too, so I added them to my kit, as well. For my embellishments I stuck with the Echo Park - Happy Easter and Sunny Days Ahead - sticker sheets. 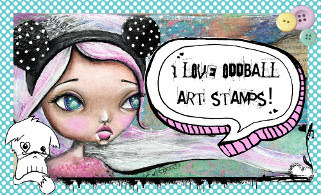 I also added the - I Love Candy - stickers from Echo Park - I know I will be able to use a few off of that sheet as well. Like the inspiration kit, I put in a couple of cut apart sheets. 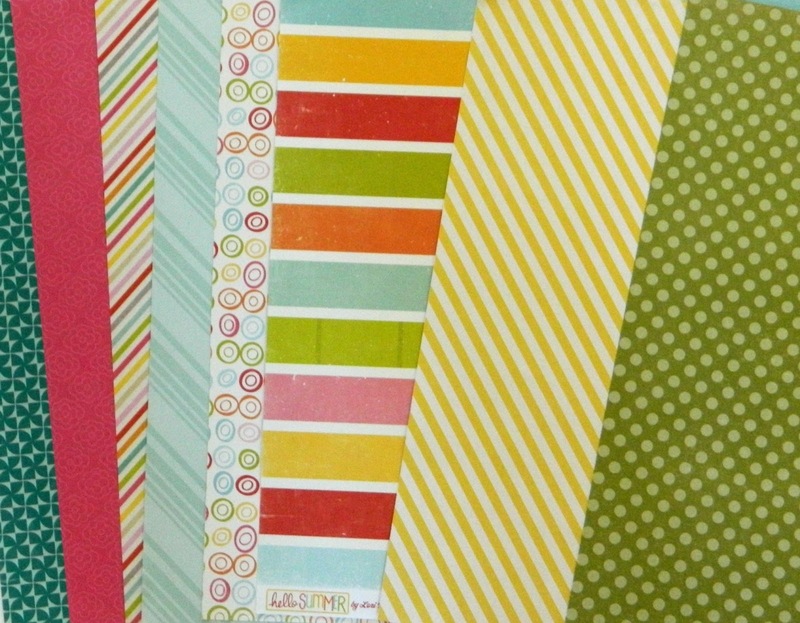 They will be perfect for my Project Life pages or as accents to other layouts. The inspiration kit has some wood veneer pieces in it, so I raided my wood veneer stash and probably added way to much, but I uncovered a little bag of wood pieces that I had gotten from Gossamer Blue before they went out of business and I figured that maybe if I have them out ready to be used that they might get used up! I had to include some enamel dots, a couple of stamp sets and dies (for some forgeries), and the Echo Park - Sunny Days Ahead - 6x6 paper pad. I am trying really hard to get it used up this year! I also came across this Echo Park - Spring collection that I had picked up a month or so ago and even though it's an older collection, it is new to me. I'm going to put the whole collection pack in with my kit because I thought it might be fun to add in some newer papers to help use up the older ones that I have been hanging on to. And that is my complete - Looks like spring - kit. I cannot wait to dive in and get to using it up! Now, here is the complete list for the blog hop. Be sure to stop by and see the design team's kits.